Since 2014 was The Year of the Reading Binge for me, perhaps it's only fitting that 2015 has been The Year of the Reading Blahs. I wasn't expecting much of a response... I just needed to get it out there, and I hadn't quite decided if I wanted to write a post about it yet. Within minutes, I was chatting with a number of other bloggers who were telling me they were experiencing the same thing or reminding me that taking a break from words can be a good thing! But when one person asked me if "blahs" meant not as many book or not very good books, it got me thinking. 2014 truly was The Year of the Reading Binge. I was tearing through books - finishing more in a year than I ever have before! I started blogging at the end of 2011, but I was on Goodreads for months before. In 2011, I read 127 books. In 2012, I read 142 books. In 2013, it was up slightly at 153. But in 2014? In 2014, I read 202 books - a 32% increase from the previous year. It went from steady year-over-year growth to a huge jump! I spent a lot of time last year shocked by my own reading speed. The minute I finished a book, I had something else ready to go. And I wasn't even neglecting real life! That's not to say I couldn't have been doing other things during the time I spent reading. I just mean that I wasn't altering my typical daily schedule or habits to achieve those results. I was naturally binging that many books, which was exciting (though slightly confusing). The lull never set in. If you're a reader, you'll know what I mean. Reading binges are often followed by reading slumps. In a normal year, I have a natural pattern of reading highs and lows. I typically find myself reading more in summer and winter and less in spring and fall. There are exceptions, of course, but it's definitely been the trend when I look back at my reading progress since 2011. But 2014 is the outlier. It doesn't quite fit because I never really slowed down. A few months may have been lower on average than others, but they were often still higher than my normal reading pace. Despite knowing that things wouldn't stay that way forever, I found myself slightly adrift and sad when I noticed how apathetic I was about reading at the start of 2015. Blogging still appealed to me, but I had no desire to read. When I had free time, I wanted to watch movies or binge TV shows. Part of that, as I noted in that Twitter discussion about my mood, was the weather. It felt like such a long winter, and it's been a pretty rainy spring so far. All I've wanted to do is turn off my brain and watch stories come to life on the screen. But why have I felt so weird about reading? What's been at the root of my reading funk? Jamie from The Perpetual Page-Turner has been writing about her own reading mood in a three-part series - inspired by the discussion that started on Twitter. In the first part, she talked about her desire to rebel against her compulsive need to always have a current read. I can relate to that aspect, but I don't think that's my issue this year. In part two, she wrote about the feeling of wanting to read things that nobody else is talking about at all. Again, I can identify with that feeling. With the amount of hype that happens in the book blogging world, it can be really satisfying to pick up a book without any pre-conceived ideas. Plus, sometimes it's just fun to feel like you discovered a book! But again, that's not what's been going on with me. Here are the four things that immediately jumped out at me - and totally explain my reading funk! The first thing I noticed about my Goodreads stats for 2015 was the number of books I've finished this year. While my first response has been to call my current mood a reading slump, I realized it's more accurate to call it a reading funk. While I'm reading less than I did last year, it's technically still on track with my normal, pre-2014 reading pace. If I keep going at my current speed, I should have no problem finishing 150 books this year. It's the end of April, and I've read 48 books. That's quite high for me and for many readers. In all honestly, I'm returning to normal. I had an unusually high reading year in 2014, but now I'm settling back in to my typical pace. I think part of why I've been in a funk is simply the fact that I've felt like I'm reading so much less, even though I wouldn't have thought twice about this prior to last year. It's been weird not to feel the urge to read all the time - just like it felt weird last year when I realized all I wanted to do was read. Balance is a good thing, and my feelings of being in a funk have all but disappeared as I've reminded myself of this fact. The second thing I noticed in the Goodreads graphic was the number of re-reads. 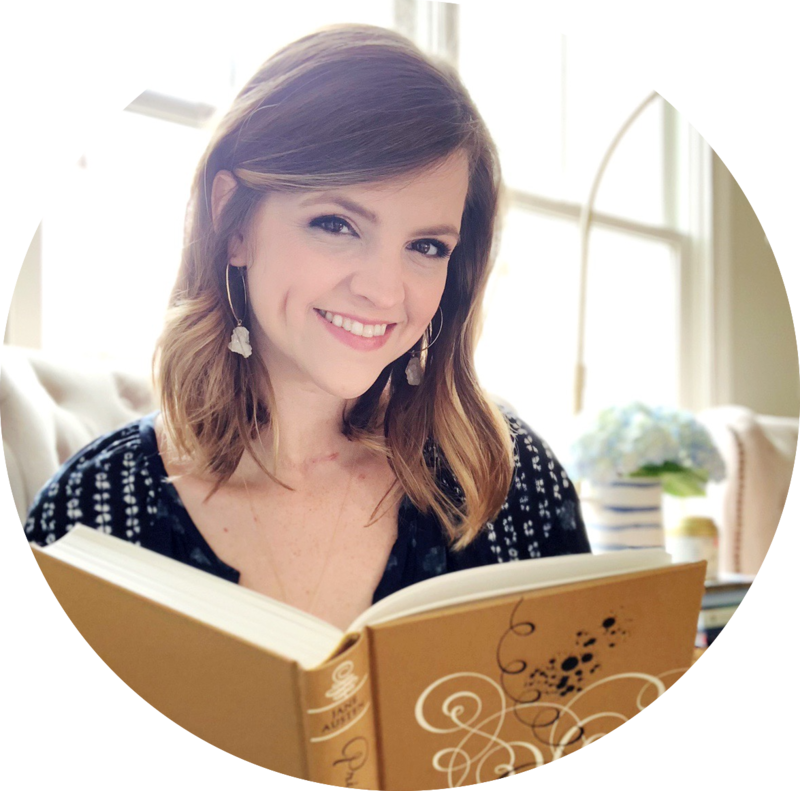 Kelly from Belle of the Literati and I are co-hosting The 2015 Re-Read Challenge. She approached me about the idea last year, and I was immediately on board. I used to re-read a ton, and I've only fallen out of the habit since I started blogging. My goal is to re-read 36 books, which would account for almost 25% of my reading if I read 150 books this year. I kicked off the year with a re-reading bang - remembering just how much I love re-reading and why I used to do it all the time. All I've wanted to do since then is re-read, but I've been fighting the urge. 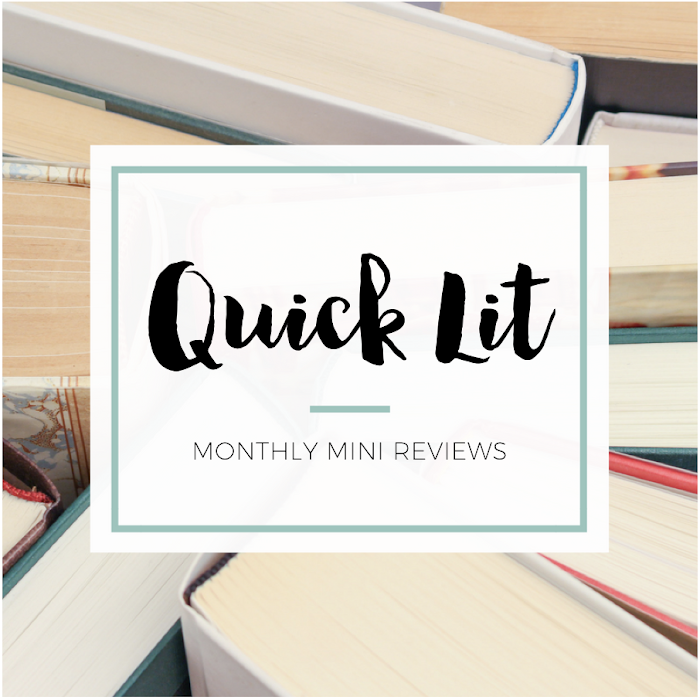 I've continued to re-read a little bit each month, but I haven't let myself turn my back on my TBR. I don't necessarily feel like I can't spend all month re-reading, but I don't want to get burned out on it either. I want balance here, too! Either way, I needed to acknowledge that part of my problem has been that I haven't let myself pull old favorites from my shelves in the way that I've wanted. But I think that's about to change. The other huge thing that jumped out at me when I looked at my reading stats? The number of four- and five-star reads! At the beginning of the post, I mentioned that someone asked me if my reading blahs meant I wasn't reading as much or wasn't reading great stuff. I responded that it was about the quantity, not quality, and this graphic proves it. I don't think that I give out five stars easily, but look at them all! Now, part of that is because I do count re-reads. If I'm re-reading, it's generally because it's one of my all-time favorites. Another part of it is the lack of half stars on Goodreads. I'll frequently round up if I'm in between ratings but was emotionally invested in a book (even if it had some flaws). However, even taking both of those things into account, this was very eye-opening for me to see! I didn't realize just how much I've loved the books I've read this year. I think I've slowed down some because I've been savoring what I read and giving books a few days to linger in my mind. That's a good thing! I'll take quality over quantity any day. Finally, I took a moment to look at what books I've actually read this year. At the beginning of the year, Alexa from Alexa Loves Books and I kicked off The Picky Pledge. We reviewed our reading stats from 2014 and noticed some troubling trends. We wanted to be more intentional about our reading choices this year and decided to team up to hold each other accountable. I needed a push to read fewer review books and stop acquiring so many books in general. There's nothing wrong with review books or adding stuff to my shelves, but there still needs to be some balance. Alexa and I checked in on our progress after the first quarter, and I was excited to see how much I'd improved. And while the pledge hasn't necessarily contributed to my reading funk, it has made me more thoughtful about what I read. It's probably a reason I've enjoyed so much of what I've read, but it's also why I've slowed down a bit this year. I'm making a concentrated effort to think about what I read! Identifying the four things contributing to my feeling of being in a reading funk has helped me tremendously! I'm not back to my binging ways, but I already feel better about reading. In a way, I think it would probably make more sense to call 2015 something else entirely: The Year of the Reading Balance. Who cares if I don't want to read all the time? That's normal! As much as I love reading, I don't want to spend all my time doing it. If I love what I'm reading, that's more important than the number of books I finish. I'd rather look back and think "Wow! I read some amazing books this year" than "Woah! I read a lot of books this year." After all, the way I felt about what I read in 2014 is what motivated to do The Picky Pledge in the first place. I've read a lot of advice about how to deal with a reading slump. Some of the most-repeated tips really are helpful: 1) just go with it, 2) do something other than reading, 3) revisit an old favorite and 4) pick up something fast paced and/or light. But you know what helped me the most? Pinpointing exactly what I was feeling and then figuring out why I felt that way. It hasn't necessarily changed my reading pace, but I feel more positive about reading. Balance is normal - the blahs and binges are just phases! Have you experienced reading blahs or binges? What do you do if you're in a reading funk? Great post, Hannah. I think I am also in a reading funk, not quite a slump. I'm still reading a lot, but it feels like I'm reading less because I'm taking so much time between reads. That's the Jamie part about always having a current read - I feel weird when I don't. But the thing is, when I take time between, I tend to binge the next few books, so really, I am balanced. The other thing, what you pointed out, is that I'm relishing the good books a lot more so I take more time between books. I tend to get cases of TEABS (The End of A Book Syndrome) where I just want to savour that book and stay in that feeling. I think we just need to be okay with however much we read and, like you said, let things ebb and flow naturally. And you're right that saying "I read some AMAZING books this year" is way more important than how many we read. I so need to take your Picky Pledge - I'm terrible about buying books (especially ebooks!) if they are on sale and sound good. Also, my ARCs are out of control. For fall, I'm dialing it back down. This was very interesting! I'm currently in a reading slump, but I think that is mostly due to the fact I've been working so much lately I'm too exhausted to even pick a book, which is depressing. But I really think knowing the source of our problems is the key to finding a quick solution. Even though you definitely don't have a problem, 48 books already is huge! It is always a great thing to look back on our habits, because it helps us make more sense of them. I love that you took the time to do just that and that you are being so conscious about your reading. There is nothing better than doing things on purpose and it was great to read about your process. I love your post, Hannah! I've definitely gone through reading slumps/funks of my own, and usually, I just go with it. If I don't feel like reading, I just don't. I often find that forcing myself to read just results in my resentment of the book or the act of reading in general, and I don't want that! So I just let it go, and turn my focus onto other things - hanging out with loved ones, watching shows, writing and more. The factors you've mentioned are very clever! In particularly, the third and fourth resonated with me. I was just working on my recap for April, and I noticed I read way less than I had in the previous months or in general for a month for me. BUT I did read some pretty amazing novels! And I did my best to stick to the Picky Pledge "rules" we've made for ourselves. It's nice being able to slow down, really enjoy a novel and tackle books I *want* to read at the same time. Loved reading your thoughts, as always! Love your honest thoughts on this! I just cannot figure out why I feel like a failure when I'm not enjoying reading the way I feel like I should, you know? Like I've set these expectations on myself - no one else - so when it doesn't happen, why do I care?! A pondering for the ages, I'm sure. I've noticed my ebbs and flows with reading in 2015 stems around reading books I love and don't love. When I read a book I love and then follow up with another book I love, I'm like ON TOP OF THE WORLD. But then I'll read a book that just doesn't jive and while I have gotten MUCH better about DNFing with books (Helloooo Picky Pledge! ), but it still bums me out when a book doesn't work. I think this is a totally timeless topic that we can all relate to. Thanks for putting such good words to this struggle! Sometimes I think we get caught up in quantity, rather than quality. I could easily read a book a day if I wanted to - and sometimes I do - but most of the time, I'd rather savour what I'm reading. At the end of the day, I don't care how many books I read, as long as I enjoy the journey! So glad you figured out what was causing your reading blahs and I hope the rest of 2015 will be better for you in reading!! LOVE what you said about balance and it's something I've struggled with since blogging. Focusing too much on ARCs, getting burnt-out, losing the energy to review, and ultimately, ending up in reading slumps. When I feel myself becoming like that, or when I think I'm reading too much, I like to just step back, put on Netflix, and don't force myself to pick up a book. Otherwise, it becomes a chore and takes the fun out of my favorite hobby. So I can absolutely relate to the reading blahs and this post, and I love how you took a step back, examined the problem, and came up with your reasons and a solution. And I so hope it works out for you!